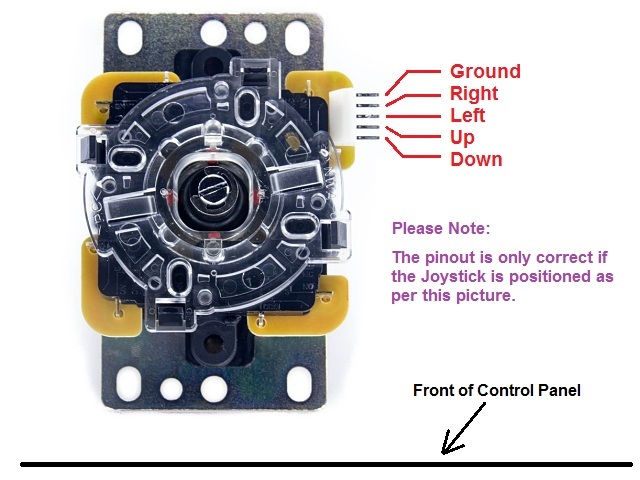 **NOTE: These are a very good quality COPY of the popular Sanwa JLF Joystick – they are NOT GENUINE! – comes with Wiring Loom and your choice of ball/bat colour. The Sanwa JLF-TP-8YT Joystick is the “go to” stick for devotees of beat-em-ups, as well as Japanese style arcade cabinets in which they were/are often used as standard equipment. 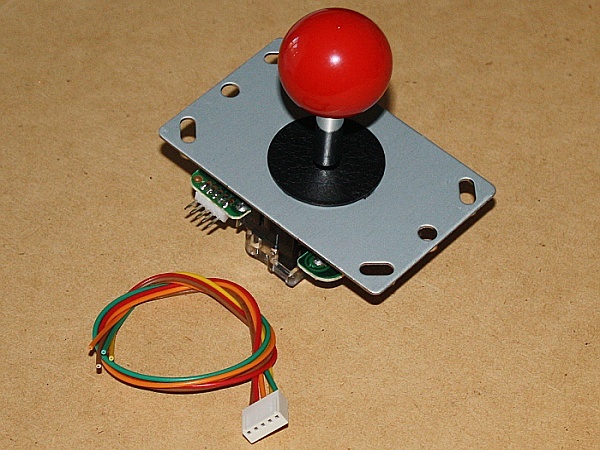 As pointed out, these are NOT ORIGINAL Sanwa joysticks, however they are an extremely good quality replica and offer all the functionality the JLF is renowned for. They are of surprisingly good quality (if they were rubbish we wouldn’t sell them!) and therefore great value for the price. They feature a metal universal mounting bracket, which ensures they will fit into the existing control panel of your cabinet without having to drill extra holes. They have a light spring pressure for really fast movements. It is possible to remove the mounting plate and secure the joystick in place using mounting holes in the plastic assembly – this greatly reduces the footprint of the joystick making them perfect to use where space is at a premium. 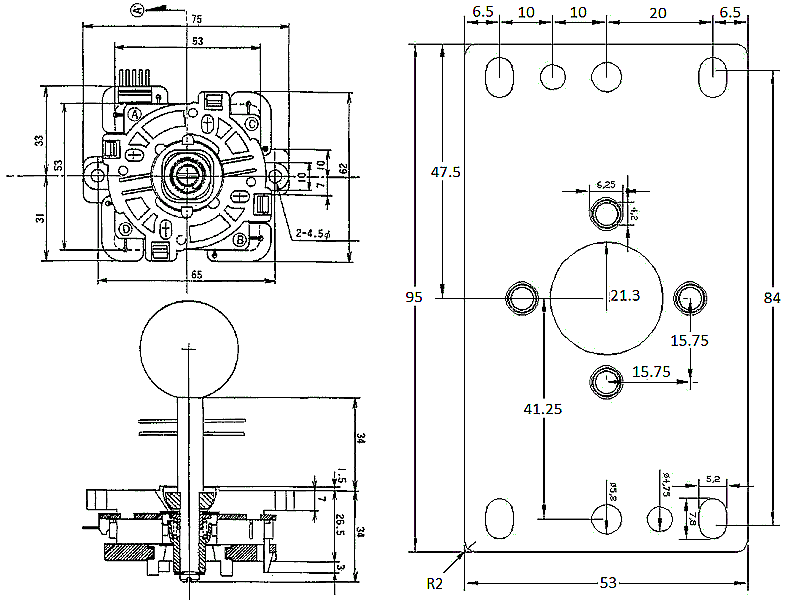 They can be easily swapped between 8-way and true 4-way mode by rotating the inner ring of the restrictor plate at the bottom of the assembly. 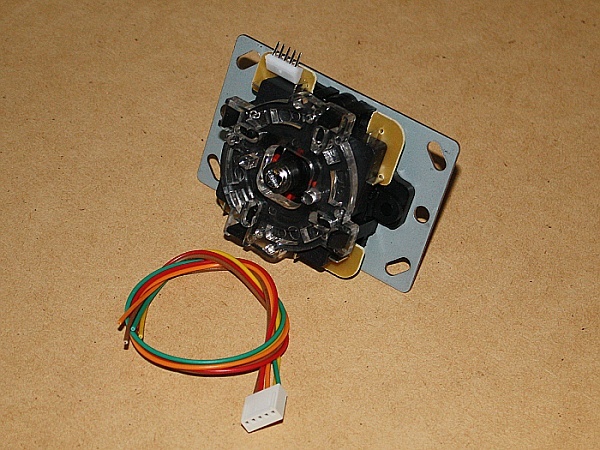 Wiring is also very easy – simply plug the Wiring Harness into the circuitboard on the base of the joystick, then it can be wired to whatever interface or wiring loom you like with a minimum of fuss. Joysticks come with a dust disc and your choice of colour in either a ball or bat top. *PLEASE NOTE* Not all Joystick Top colours perfectly match button colours. If a close/perfect colour match is important then you may wish to check with us before ordering to avoid disappointment! For mounting joysticks into a timber panel, we prefer the “blind mounting” method which involves screwing the mounting plate of the joystick to the underside of the control panel. This leaves the top of your control panel ‘clean’ and it means your hand can rest on the panel without it rubbing across bolt heads. We use 6g 12mm Pan Head screws for this task, which you can purchase from us as Joystick Mounting Screws. For metal panels, or timber panels thinner than 12mm, we recommend using our Joystick Mounting Bolts.